Moving picture experts group (MPEG) is a set of industry standards that define how multiple forms of media (multimedia) can be transmitted, processed, and rendered. MPEG is a committee that oversees the creation of industry standards for digital video systems. The MPEG standards define the data compression and decompression processes and how they are delivered on digital broadcast systems. 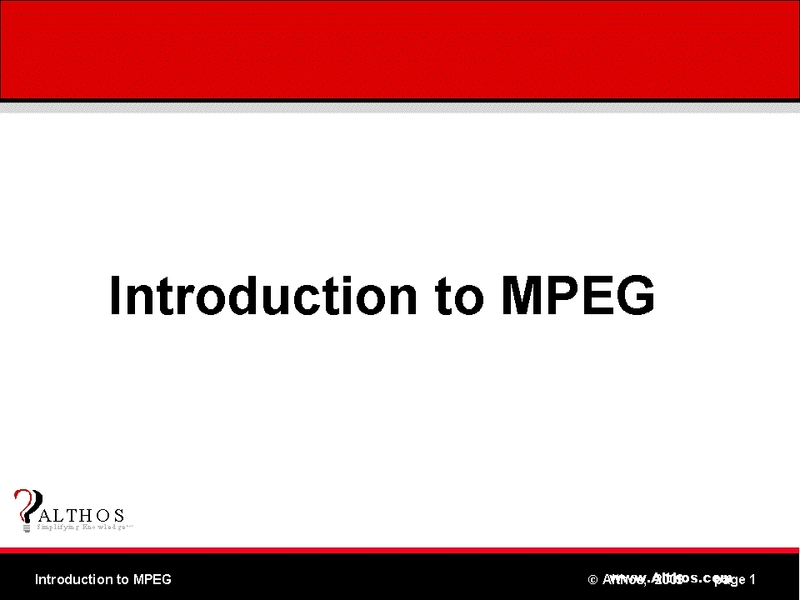 MPEG is part of the International Standards Organization (ISO). The MPEG system defines the media components (such as a streams or channels) of a multimedia signal (such as a broadcast channel) and how these channels are multiplexed (combined), transmitted, received, demultiplexed (separated), synchronized (time aligned) and rendered (converted) back into a multimedia format.